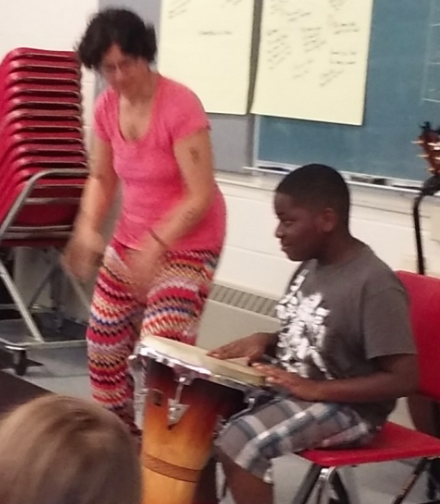 Sahffi has taught music at summer programs in Baltimore City for the past 5 summers. In her classes, kids learn to sing as a choir, write songs as a group, learn about the four different instrument families and even get a chance to play instruments such as djembe (pictured,) violin, ukelele, guitar, tambourine, and other percussion instruments. They also get a chance to hear the French horn and different flutes from around the world.